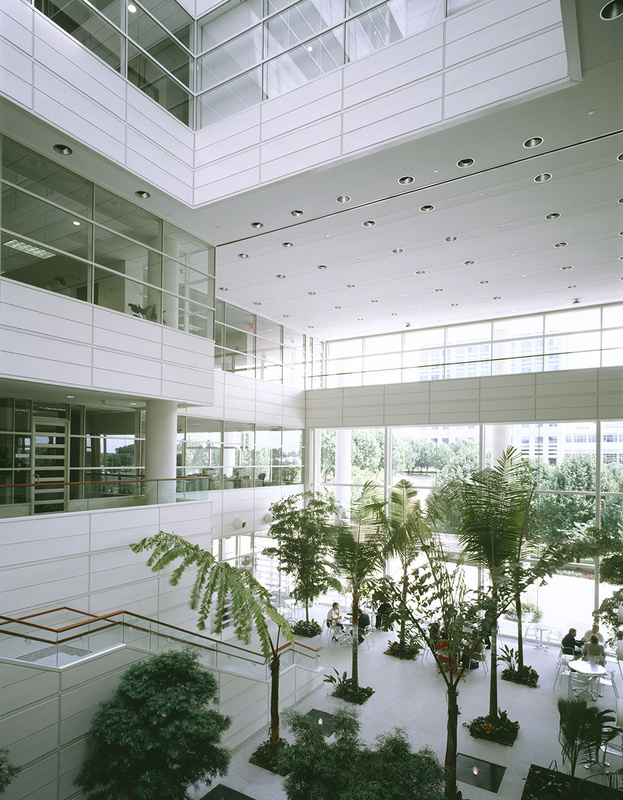 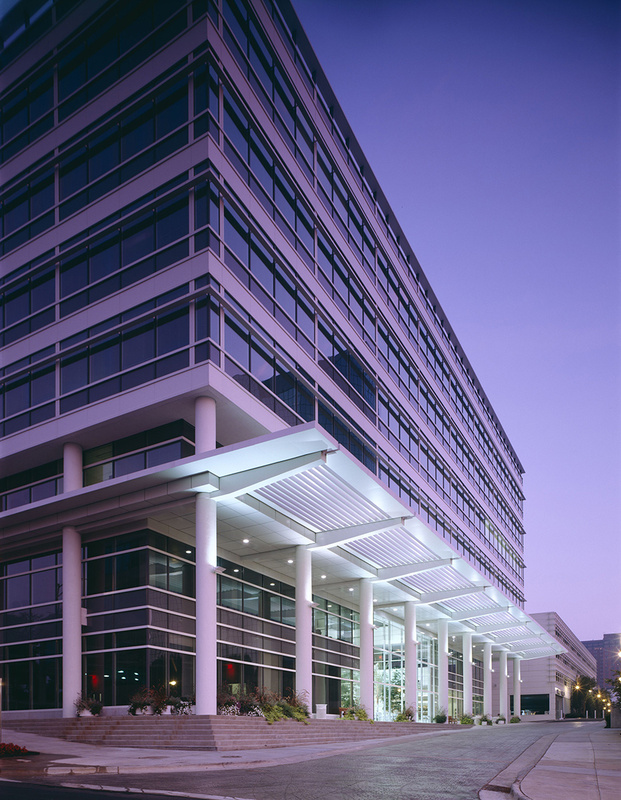 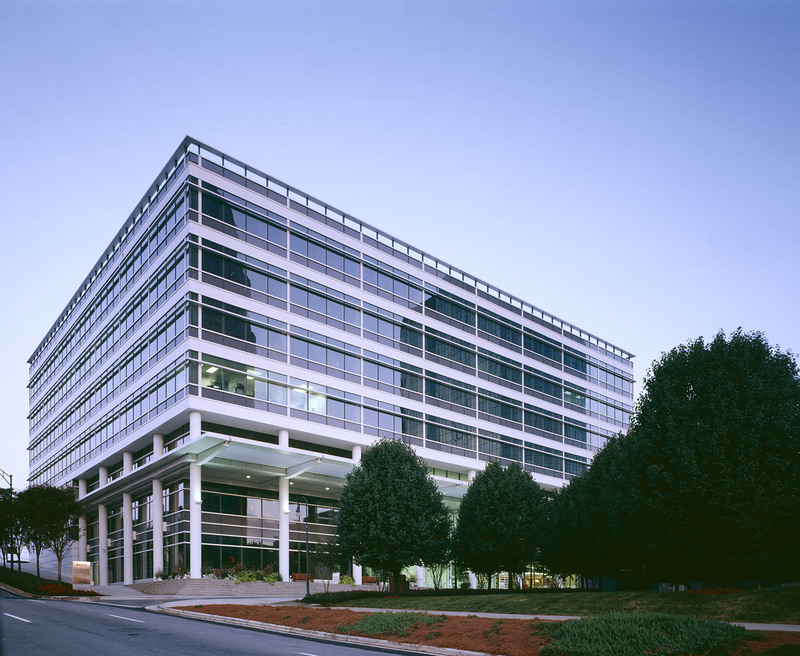 This 7-story, full atrium office building is Kendall/Heaton’s second building for Wachovia at their Winston-Salem headquarters. 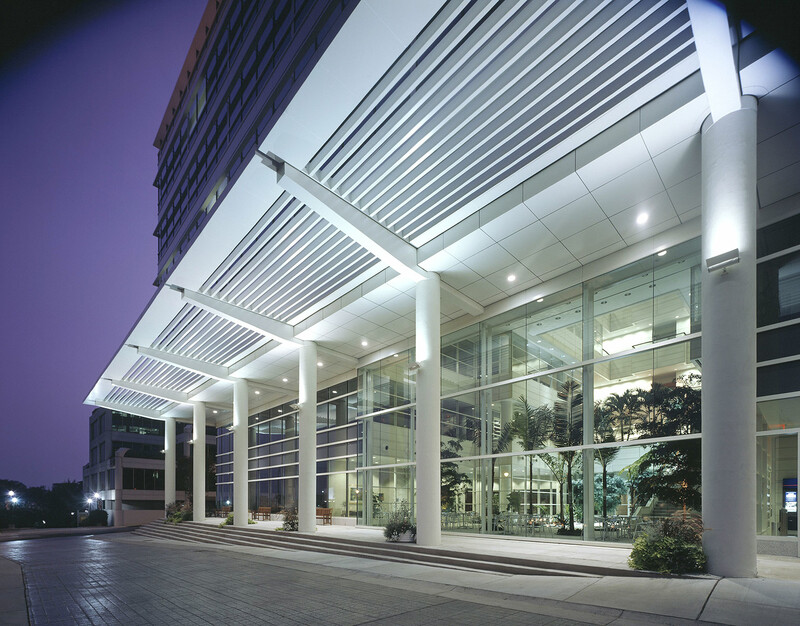 This latest building fronts on a city park directly across from the 1996 Wachovia headquarters tower. 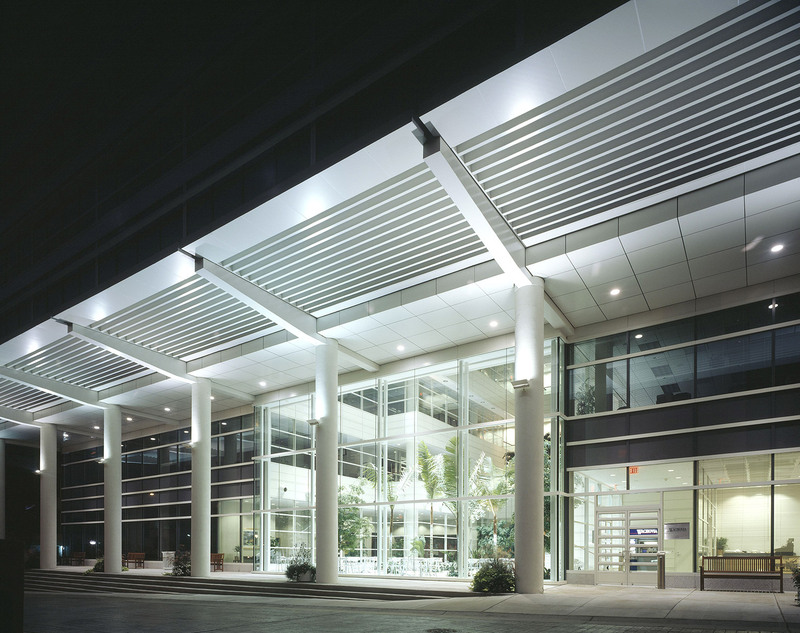 A large metal brise-soleil provides cover for the park entrance. 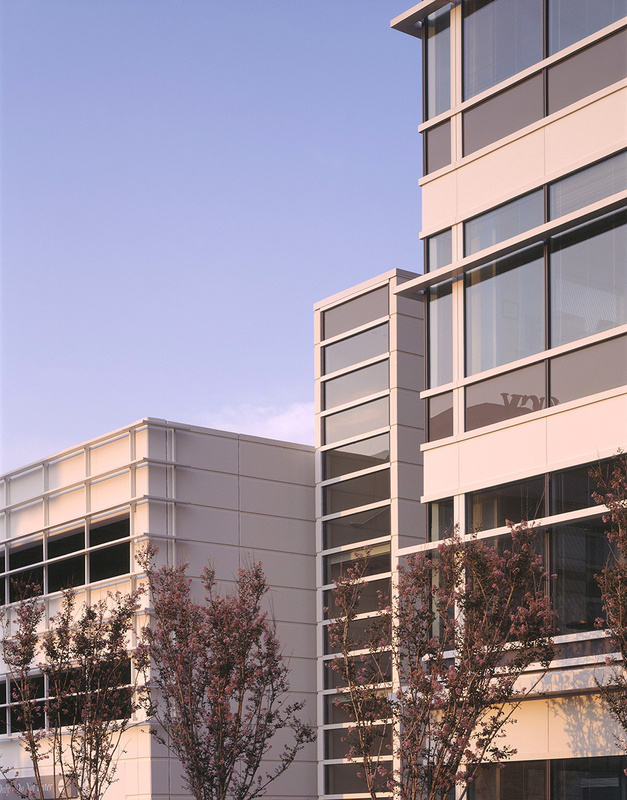 An adjacent garage for 600 cars provides on-site parking. 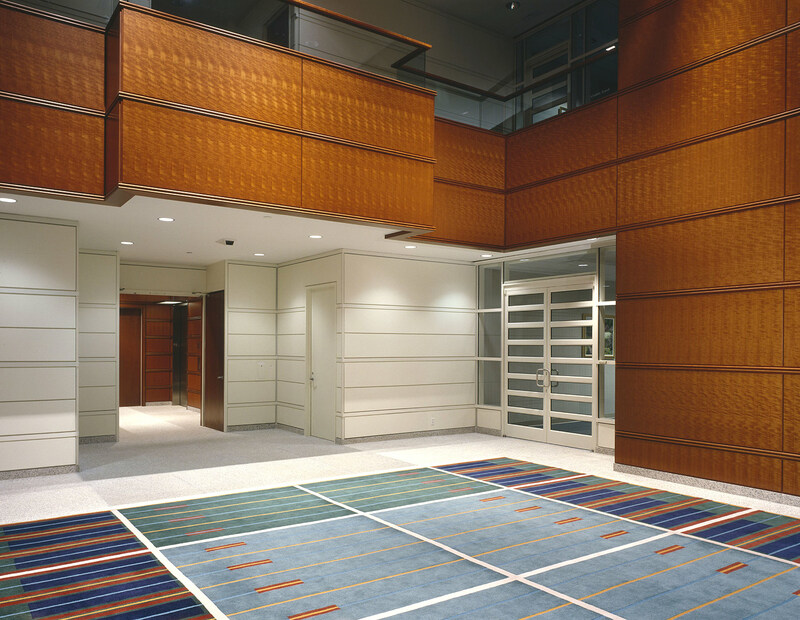 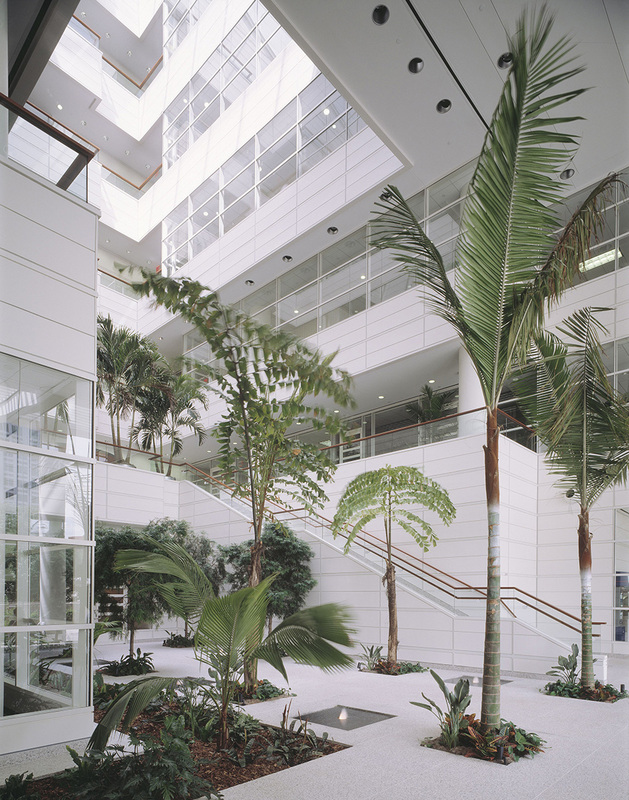 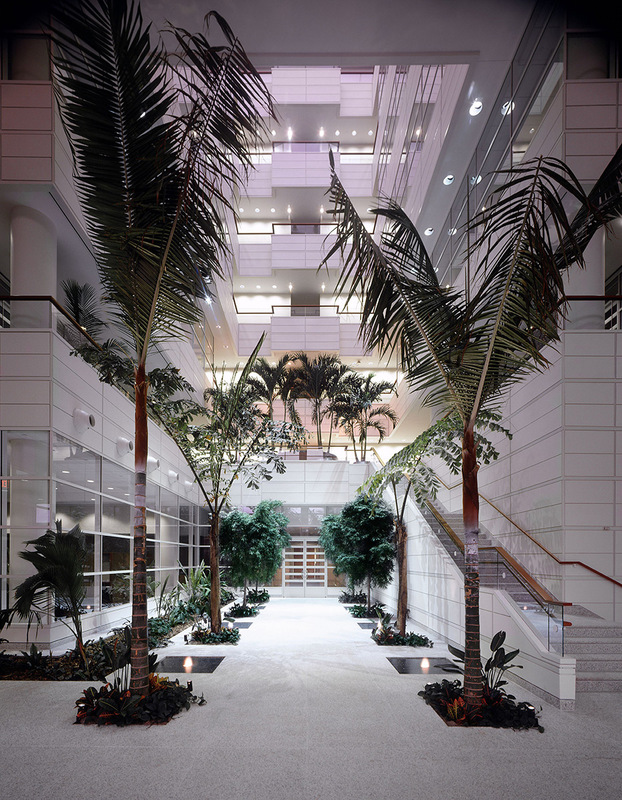 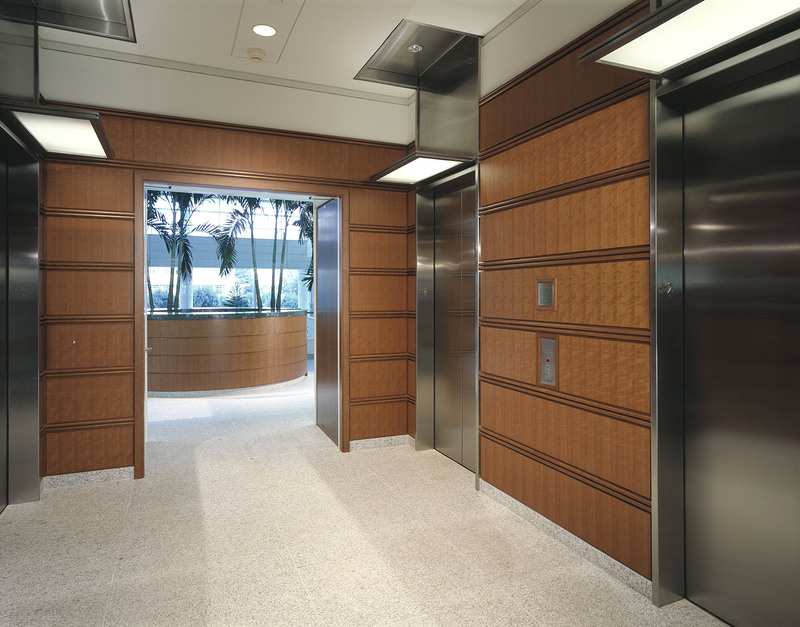 The cherry wood and white granite lobby is landscaped with palm trees and fountains.